Centenary of the United States joining the war. On 6th April, 1917, the United States declared war on Germany [sentence edited in response to comment below]. This turn of events will lead to China’s eventual declaration of war. How so? China had attempted to formally join the allies on several occasions. At the outbreak of the Great War the Chinese government offered military to support Britain to relieve Germany of her concessions in Shandong. Britain turned this offer down, only for Japan to seize the opportunity and to take the German concessions herself. With a vested interest in the war, Japan used her influence to block futher attempts by China to become an ally. Japan understood what the Chinese objectives were; that the desire to become an ally was a calculated political choice. Indeed, China, bound neither by alliance nor vested interests may be unique in its politically driven decision to join the war in pursuit of objectives which had nothing to do with the war itself. China believed that by becoming an ally she would gain recognition as an equal, something denied her throughout the Century of Humiliation by the imposition of the Unequal Treaties. The European powers, having taken their eye off the ball, were willing to engage with China on a more equal basis during the war, but Japan was resolute in the belief and pursuit of keeping China a second class state: any notion of China being seen as equal was pure anathema to the Japanese. Having joined the war, the United States called upon China to do the same. Of all the allies, the United States had the least involvement in China, not through lack of choice, but like the Japans they were late-comers to the party. With few options, and no spheres of influence in China, the USA adopted the “Open Door Policy”. The Policy essentially sought to secure open and equal access to the Chinese market for all goods, regardless of their country of origin, the subtext was that the territorial integrity of China was a pre-requisite for all nations to benefit from the Chinese market. Japan’s infamous Twenty One Demands directly challenged the Open Door Policy, and indeed, China had turned to the US for assistance when the Demands were made. With the backing of the United States Japan could not prevent China’s eventual elevation as a formal belligerent in the war on the side of the Allies. 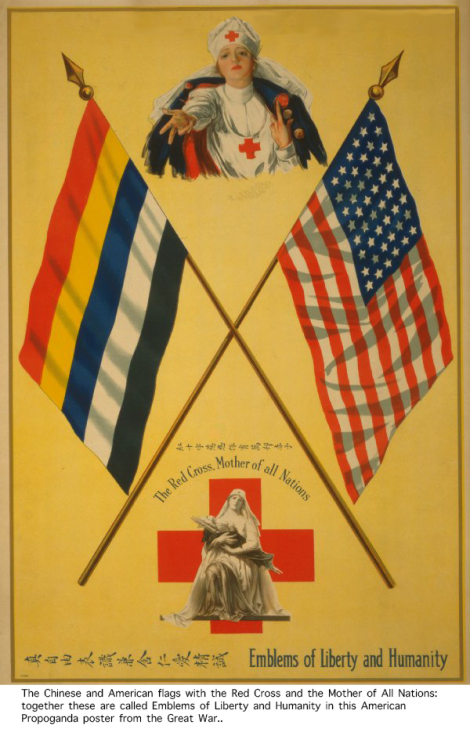 The United States did not declare war on Austria-Hungary on 6 April 1917. Thank you for your correction Dr James.